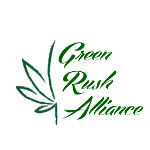 Green Rush is an alliance of companies that lead their fields providing support, products, and services to the recreational and medical marijuana producers, distributors, and manufacturers. The Alliance Members offer industry changing technology, products and services not currently found elsewhere in the industry and all are dedicated to the promotion of safe, efficient, compliant production, manufacture and distribution of legal, recreational, and medical marijuana. Green Rush provides industry changing products and services that include licensing and compliance consulting, dispensary, grow operations and manufactured infused product operations consulting and construction, industry leading security and surveillance systems, state of the art lighting solutions, nutrient systems that increase yield and potency, trimming services and training that can increase your profits, seed to sale POS tracking software and so much more. Green Rush also offers complete turnkey solutions from licensing to continued operations, as well as individual products and services. Go to our turnkey solutions page to get started, or to our Member Companies page to get the individual products and services that you need. Green Rush offers Turnkey Solutions for new Dispensaries, Grow Operations, Professional Trimming Operations and Manufactured Infused Product Kitchens. With the products, services, expertise and guidance the Green Rush Turnkey solutions help our clients be more cost effective, efficient, and successful in less time. 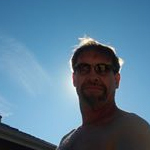 The Green Rush Alliance’s unique group of member companies provide new and existing entrepreneurs in the recreational and medical marijuana industry the tools and expertise needed to succeed. 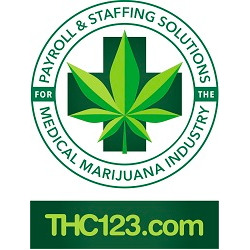 THC123 is an employee solutions company based in Metro Detroit that provides the following aspects of business administration for its clients: Payroll Services, Human Resources, Employee Benefits, Tax Management, Workers’ Compensation, and Risk Management.